If you need back tax debt relief, we explain your options from tax forgiveness to lump sum settlement. Welcome to Debt.com’s tax debt relief center! If you owe back taxes to the IRS, you need to act quickly to avoid financial burdens, like receiving a Notice of Federal Tax Lien. Unfortunately, like many debt solutions, you don’t usually know about tax debt relief options until you need them. So, how do you find the best tax debt relief service for your needs? How does tax debt relief work? There is not just one right solution that provides tax relief. This means that you either need to know which option is the best for your situation or you need professional tax debt help. In most cases, it’s best to go with professional help so you can find relief quickly and minimize costs. 1. First, you find a licensed tax attorney you can trust. 2. They will review your tax returns, as well as your budget and overall financial situation. 3. Then they can help you select the best tax debt relief option for your needs. In many cases, the initial consultation is complimentary, so you can at least get free tax debt relief advice. Then you can decide what you want to do from there. Debt.com can connect you with a certified tax specialist that can help you make a plan to eliminate your tax debt! There any thousands of tax relief companies you can use, so how do you find the right one for your needs? Check the Better Business Bureau, since any legitimate tax relief service should be rated by the BBB. The best relief services have A ratings or higher. Read independent third-party tax debt relief company reviews. To see if other people in a similar situation had a good experience. Some bad reviews should be expected, but too many on the same topic could show a pattern. Use an accredited tax relief referral network. Companies like Debt.com that offer referral networks typically have their own vetting process to find the best tax debt relief companies, so they do the legwork for you. 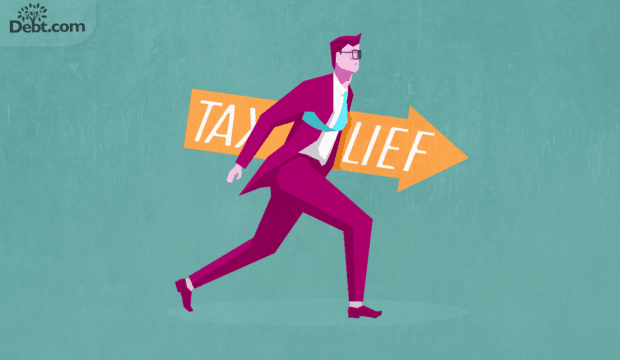 Does tax debt relief work? Yes, but it doesn’t always work the same in every situation. For instance, tax debt forgiveness sounds great, but the only way you really qualify for it is through Innocent Spouse Relief. Unless you can prove a spouse incurred the tax bill without your knowledge, forgiveness without at least some repayment is unlikely. Most tax debt relief happens through a combination of penalty abatement and setting up an Installment Agreement. You pay off everything you owe. However, you reduce the penalties to minimize the cost. Then you spread out the remainder and pay it back in monthly installments over time. It can take a few years, but you’ll be out of debt and straight with the IRS. Currently Not Collectible (CNC) status can also provide relief if you don’t have the means to pay. As long as you can show that you can’t afford to pay your back taxes, the IRS will stop collection actions. That means you won’t receive another Notice of Federal Tax Lien against your property or worry about levies draining your accounts. Tax debt settlement is also a legitimate form of relief. However, it’s not as common as you might think. The IRS doesn’t have any statute of limitations on collection like you see with other types of debt. As a result, they’re willing to be patient and wait for you to have the means to pay them back. You only qualify for an OIC if you can show the IRS that there is no reasonable expectation that you can repay the full amount owed. What about state tax debt relief? Tax debt doesn’t just come from IRS. You can also incur back taxes through the state of your residence. If you need state tax debt relief, then you generally follow the same process as you do for the IRS. You simply make sure you’re working with a state-licensed tax attorney. If you use a national tax debt relief company, many have attorneys licensed to work in most or all states. This can be beneficial if you owe back taxes at the federal and state level. It’s one stop to fix all your issues. How can I avoid IRS tax debt relief scams? Companies that charge fees by telling you to do something illegal, then they take your money and run. The second one is the most damaging to you, because they advise you to do something that breaks the law. For instance, they tell you to use a new Social Security number or Employer Identification Number. Basically, the advice is to try to hide from the IRS and start fresh with a new identity. This is a felony offense, so don’t do it! The first scam for settlement is, by far, the most common. Companies claim that they can settle your tax debt for “pennies on the dollar” and that they “guarantee they can reduce your debt.” Again, they charge high fees to give you a quick settlement, but they don’t deliver. They also don’t give you your money back, even though they said they guaranteed the service. To be clear, tax settlement is possible, but it’s not as common as these companies make it sound. You must fully disclose your financial situation to the IRS. After a thorough review, they may grant an Offer In Compromise ONLY if they see there is no reasonable expectation that you can repay everything you owe. To avoid scams, just follow the three tips we provide above to review any company before you sign up. As long as you do your homework, you can avoid getting scammed. Is there such a thing as “do it yourself tax debt relief”? Yes. If you owe less than $10,000 and simply want to set up a straight Installment Agreement (IA), you can do so through IRS.gov. 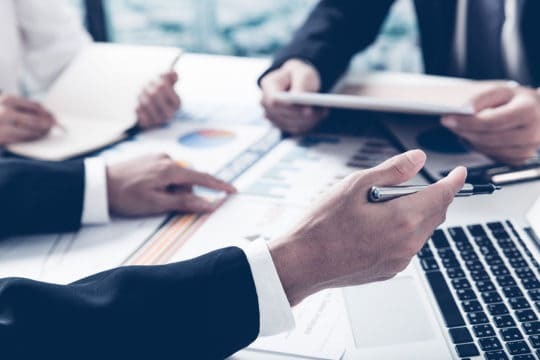 Usually for tax debt amounts that low, there is no need to work with a licensed tax attorney, because you typically don’t need penalty abatement. However, outside of a straight IA for less than $10,000, it’s advisable that you work with a professional tax attorney. That way, you ensure you find the best solution for your needs and don’t overpay. How does debt relief affect taxes? This question is not about tax debt relief. Instead, it’s about how other forms of debt relief can affect your taxes. Technically, when you go through something like debt settlement, it could lead to extra liability on your next income tax return. The IRS treats settled debt as income – you’re supposed to pay taxes on the portion of debt you didn’t pay back. However, you can ask the IRS to waive that tax liability. As long as you can show you settled the debt during a period of financial hardship, they waive the income taxes on it. In addition, there was also a special federal law created during the Great Recession called the Mortgage Forgiveness Debt Relief Act. It allowed taxpayers to exclude income from the discharge of debt through mortgage restructuring. This allowed homeowners to take advantage of programs like the Home Affordable Modification Program (HAMP) to modify upside down mortgages without facing additional tax liability. The issue is that this particular relief act was only supposed to be in place for a short period of time. Congress approved a tax debt relief act extension twice. However, the tax debt relief act extension proposed in 2017 has yet to pass through House committees, so it’s uncertain if the tax forgiveness will continue. Ready to find the best tax debt relief option for your financial situation? Talk to a certified tax debt resolution specialist today to review your options for free. Article last modified on March 1, 2019. Published by Debt.com, LLC . Mobile users may also access the AMP Version: Finding the Best Tax Debt Relief Solution - AMP.